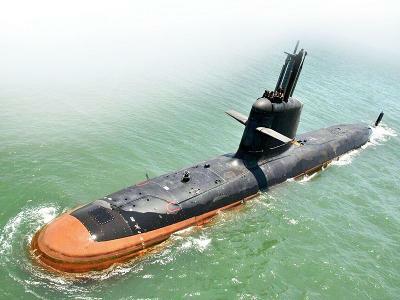 Indian Navy successfully test-fired (2.3.2017) an anti-ship missile for the first time from an indigenously built Kalvari class submarine. The weapon was fired from the submarine, the first of India's six Scorpene-class submarines which are being built under the Project 75, and it "successfully hit" a surface target during the trial in the Arabian Sea. These missiles will provide the vessels the ability to neutralise surface threats at extended ranges.